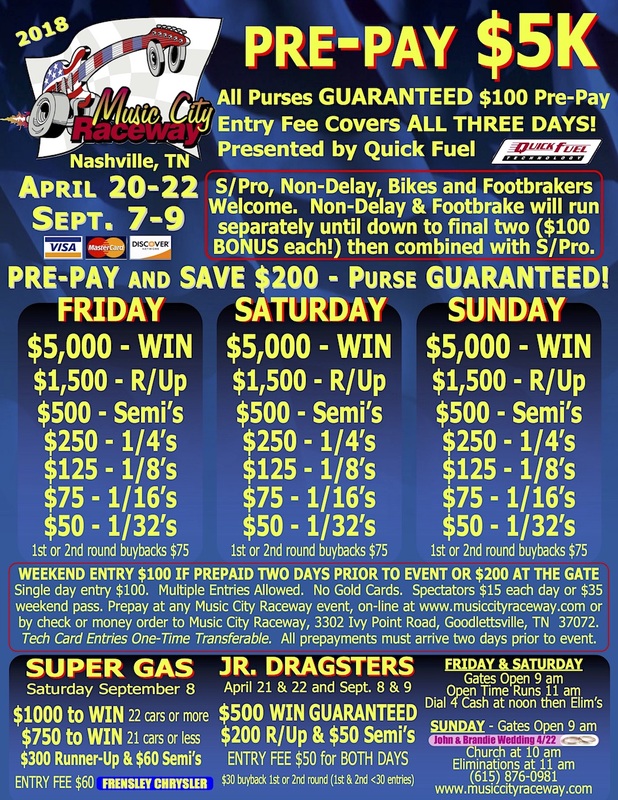 This weekend showcases ONE Featured Races in Tennessee. The Music City $5k in Nashville. The Moser Engineering Great American Bracket Race in Memphis has been postponed. More info to come.